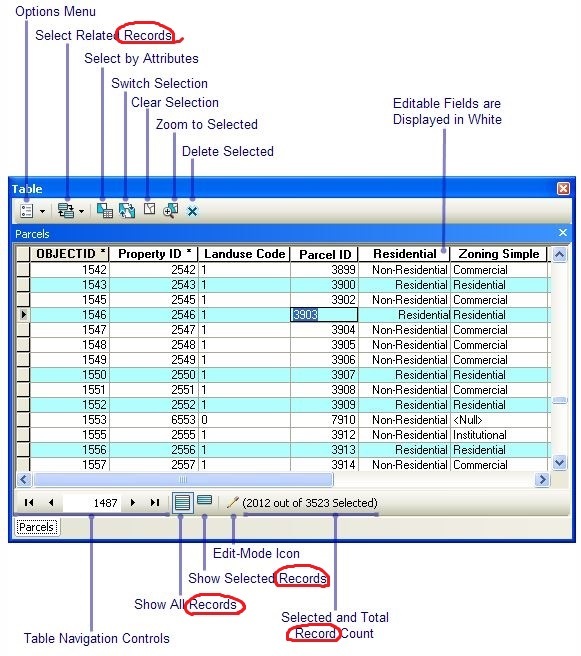 Is there an agreed upon name for the rows in an attribute table, perhaps one that would apply across different GIS software platforms? Esri uses "records" here, for example. They also have the automatically generated field of "OBJECTID", however, that implies the use of "object". QGIS uses "features" here and in its attribute table within the software (e.g., the "Show all features" button). Row and Record are used interchangeably. Personally I like "Row" better, it's simpler and the meaning is easily understood even by people whose only experience with databases is an Excel table. However, the term "Feature" is not interchangeable with the other two. Calling a Row a Feature implies that it has geometry associated with it. Rows in a GIS layer's attribute table are usually Features, so as long as all your data is spatial, calling a row a feature is pretty safe. But when you start linking your spatial data to non-spatial data, it can be helpful to differentiate between Features (rows with a spatial attribute), and Rows or Records (which may or may not have a spatial attribute). To put it more simply, all features are rows, but not all rows are necessarily features. Not the answer you're looking for? Browse other questions tagged attribute-table gis-principle terminology or ask your own question. Displaying attributes for features within current map extent in ArcGIS Desktop? 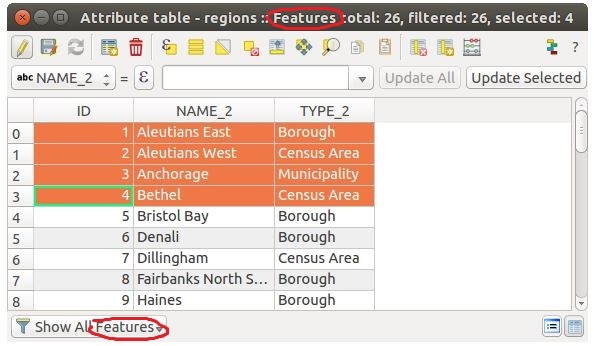 Why automatic filter in attribute table in QGIS?